You probably know the best position to sleep (on your side). You most likely also know the best way to combat morning sickness (with ginger). And you probably know that every pregnancy is different (so take it in your stride!). But this is the advice that you might not have been told yet – tips to help you with those most annoying (and least talked-about) symptoms. So, to all mums-to-be, here’s the advice that will help get you through the next nine months and ensure every moment, even the constipation, is enjoyed (okay, maybe not the constipation). The long flowing dress, a crown of flowers adorning your head, glowing skin, luscious hair, a perfectly shaped bump and an idyllic background – this is the picture of pregnancy many woman come to expect (thanks to all the incredible maternity photographers out there). But some days pregnancy isn’t quite so perfect. Some days it’s too bloody hot to wear a flowing dress, your skin is dryer than a desert and you’re pretty sure you just lost half your hair in the shower. The good news is we’ve all been there, done that and learned how to handle it with grace and elegance (okay, maybe not quite, but these tips will at least make the next nine months more comfortable). And ensure you have both items in every corner of your house, car, office, and purse. Why the lotion? Because your skin is going to be dryer than ever before, especially during the first trimester. And as your belly swells, the cracked skin will appear not only on your hands and feet, but also your belly. Why the tissues? Because breaking out in tears for no reason whatsoever is pretty standard during pregnancy thanks to your hormones. In addition to helping with the huge task of nurturing a baby, their other main job is to wreak havoc on your life. A heat pad is a lifesaver for swollen body parts (and trust me, everything swells. Even places you didn’t know could swell can double in size). Thanks a lot, extra blood flow. 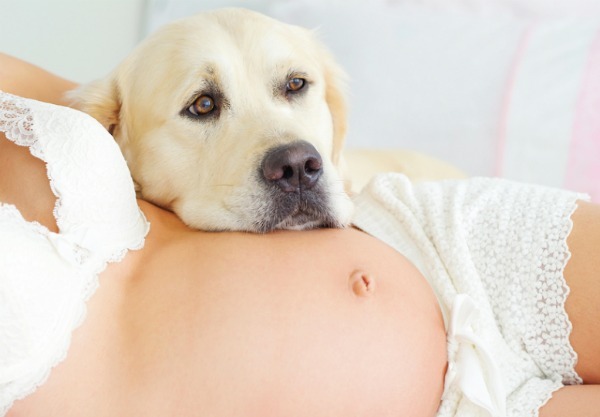 Heat can also help with other common pregnancy symptoms such as a sore back and hips. And ice is your go-to treatment for headache pain and uncomfortable engorged breasts. One of the superpowers new mums-to-be are blessed with is a heightened sense of smell, usually in the first trimester. It has been suggested this is due to increased blood flow in your body or possibly hormonal changes. Whatever the case, accept the fact that you now have a nose like a bloodhound. While this can be a good thing, it can also lead to nausea, vomiting and wanting to murder the person in the office cubicle beside you who chooses to wear lavender-scented deodorant. Carry a tube of lip balm or anything else with a scent that you can stomach. I used to bring my husband’s deodorant with me and smell it whenever I needed to mask an awful smell around me. It’s okay to get caught randomly sniffing deodorant. You’re pregnant. You’re allowed. And whenever you pass wind, blame the dog. You’re going to turn into a gassy machine (thanks to your extra progesterone) and if you don’t like the idea of trumpeting in public or around your partner, then you can always pass the blame on to someone else. Someone who cannot speak is always a good choice. If you don’t have a dog, upping your levels of water, fibre and exercise can help. You’re probably going to be spending a lot more time in the loo. And not just because of the above. In between morning sickness in the first trimester and frequent urination in the third, you may even get to experience the joy that is constipation throughout (40 per cent of pregnant women do). Duphalac is a great solution for constipation during pregnancy. As the active ingredient is lactulose, Duphalac* provides a gentle approach to helping get everything moving along. These conditions are only a few of the pregnancy problems that probably don’t make it to the dinner discussion with your in-laws. But peeling skin, swollen body parts, super smell, gassy outbursts and constipation happen to the best of us. Sure they can be annoying and embarrassing but it’s all part of the journey towards motherhood. Take the good with the bad and remember, a sense of humour is often the best way to combat these common pregnancy ailments. After all, laughter is the best medicine. And it won’t make you constipated. If you have any symptoms that are of a concern during pregnancy, you should consult your doctor or healthcare professional. Duphalac® contains lactulose and is indicated for the treatment of constipation. Medical advice should be sought before use in children, babies and pregnant women. ALWAYS READ THE LABEL. USE ONLY AS DIRECTED. IF SYMPTOMS PERSIST, SEE YOUR DOCTOR/ HEALTHCARE PROFESSIONAL. Duphalac® is a registered trademark of BGP Products Pty Ltd. Level 1, 30-34 Hickson Road, Millers Point NSW, 2000. DUL-2016-0025. Date Prepared: February 2017.